Smith still skipper, but Cricket Australia is working on getting a clearer picture of the events in Cape Town, said CA boss as he responded to the ball-tampering issue. Cricket Australia (CA) are sending two officials to South Africa to investigate the ball-tampering issue in which the Steve Smith-led Australian team find themselves embroiled. Iain Roy, the Head of Integrity, and Pat Howard, the High Performance Manager, will attempt to get a clearer picture before action is contemplated against players and staff involved, said CA CEO James Sutherland. On Saturday, Cameron Bancroft was charged with altering the condition of the ball during the Newlands Test against South Africa. 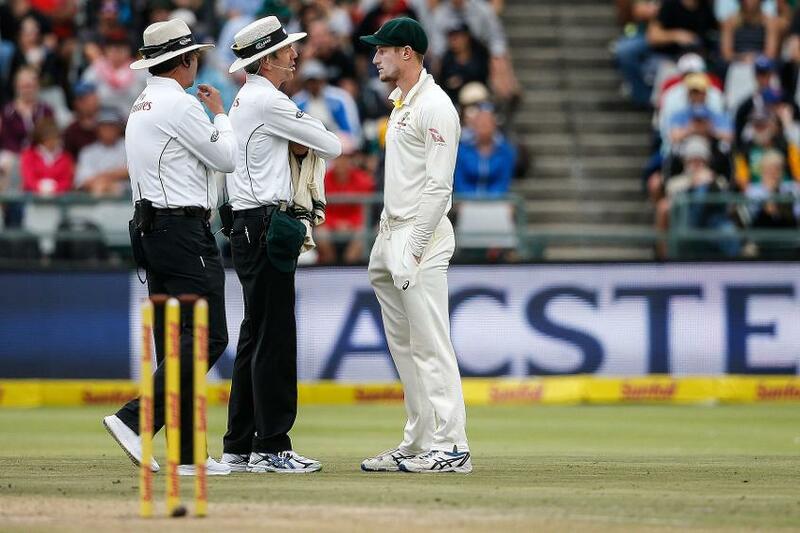 Smith and Bancroft later addressed a press conference, admitting to ball-tampering and apologising for their actions. Smith took responsibility for the decision, saying, "It was the leadership group's idea. Poor choice and we deeply regret our actions. The coaches weren't involved. It was purely the leadership group who came up with this. I am not proud of what's happened. It's not within the spirit of the game." Sutherland said CA was “extremely disappointed and shocked with what we woke up to this morning”, adding, “We are dealing with this issue with the utmost urgency and seriousness”. “Australian cricket fans want to be proud of their team. And this morning they have every reason to wake up and not be proud of the team. It’s a very sad day for Australian cricket,” he said. “One of the unique things about cricket is that it should be played not only within the laws of the game, but in the spirit of the game. And activities on the field yesterday in Cape Town were neither within the laws of the game nor within the spirit of the game. There has been pressure on Smith to step down since the incident. He, however, has insisted he would remain captain, a role he's held since he took over full time from Michael Clarke in 2015. "I won't consider stepping down [from captaincy]. I still think I am the right person for the job," he said. "Today was a big mistake on my part and on the leadership group as well. I have to take control of the ship. This is something I am not proud of. It's something I hope I can learn from and come back from. I am embarrassed. It is a big error in judgement."